Eagle Asset Management, Inc. purchased a new position in shares of Brookline Bancorp, Inc. (NASDAQ:BRKL) during the 2nd quarter, according to its most recent Form 13F filing with the Securities and Exchange Commission. The fund purchased 484,256 shares of the bank’s stock, valued at approximately $7,070,000. Eagle Asset Management, Inc. owned approximately 0.63% of Brookline Bancorp, Inc. as of its most recent filing with the Securities and Exchange Commission. Other institutional investors also recently added to or reduced their stakes in the company. State of Alaska Department of Revenue lifted its position in Brookline Bancorp, Inc. by 2.1% during the 1st quarter. State of Alaska Department of Revenue now owns 7,790 shares of the bank’s stock worth $121,000 after acquiring an additional 160 shares in the last quarter. Victory Capital Management, Inc. acquired a new position in Brookline Bancorp, Inc. during the 1st quarter worth approximately $161,000. Airain, Ltd. acquired a new position in Brookline Bancorp, Inc. during the 1st quarter worth approximately $173,000. Alpine Woods Capital Investors, LLC lifted its position in Brookline Bancorp, Inc. by 20.0% during the 2nd quarter. Alpine Woods Capital Investors, LLC now owns 12,000 shares of the bank’s stock worth $175,000 after acquiring an additional 2,000 shares in the last quarter. Finally, Eqis Capital Management, Inc. acquired a new position in Brookline Bancorp, Inc. during the 1st quarter worth approximately $213,000. 78.12% of the stock is currently owned by hedge funds and other institutional investors. Brookline Bancorp, Inc. (BRKL) opened at 13.75 on Friday. Brookline Bancorp, Inc. has a 52-week low of $11.51 and a 52-week high of $17.45. The company’s 50-day moving average price is $14.35 and its 200 day moving average price is $14.69. The firm has a market capitalization of $1.05 billion, a price-to-earnings ratio of 17.86 and a beta of 0.98. 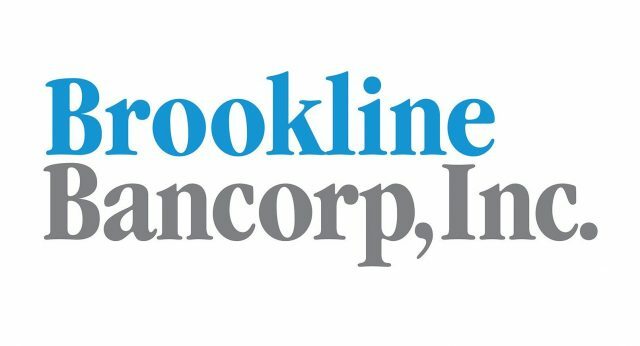 Brookline Bancorp, Inc. (NASDAQ:BRKL) last released its quarterly earnings results on Wednesday, July 19th. The bank reported $0.20 earnings per share (EPS) for the quarter, topping the consensus estimate of $0.19 by $0.01. The company had revenue of $60.10 million during the quarter, compared to the consensus estimate of $58.08 million. Brookline Bancorp had a return on equity of 7.56% and a net margin of 19.64%. The firm’s revenue was down 12.9% on a year-over-year basis. During the same quarter in the prior year, the company posted $0.18 EPS. Equities research analysts predict that Brookline Bancorp, Inc. will post $0.79 earnings per share for the current year. The business also recently declared a quarterly dividend, which was paid on Friday, August 25th. Stockholders of record on Friday, August 11th were paid a dividend of $0.09 per share. The ex-dividend date was Wednesday, August 9th. This represents a $0.36 annualized dividend and a dividend yield of 2.62%. Brookline Bancorp, Inc.’s dividend payout ratio (DPR) is presently 46.75%. Several research firms recently commented on BRKL. BidaskClub raised Brookline Bancorp, Inc. from a “sell” rating to a “hold” rating in a research report on Wednesday, August 23rd. Sandler O’Neill raised Brookline Bancorp, Inc. from a “hold” rating to a “buy” rating and set a $16.00 price target on the stock in a research report on Monday, August 21st. They noted that the move was a valuation call. Finally, Piper Jaffray Companies reissued a “hold” rating and set a $15.00 price target on shares of Brookline Bancorp in a research report on Friday, July 14th. Three analysts have rated the stock with a hold rating and two have issued a buy rating to the company. The stock has a consensus rating of “Hold” and an average price target of $15.83.